Photos, infographics, memes, illustrations, and videos are not just types of visuals; they are the most entertaining parts of our lives. People love to watch beautiful graphics and entertaining videos. If you don’t believe, then just look at our popular social media platforms like Pinterest, Instagram, Facebook, Snapchat, and YouTube. Marketers claim that they truly understand one marketing trend that’s next to impossible to ignore is – the growing power and value of visual content. The way the audience is consuming content, you also need to know – Why Is Visual Content Important For Your Business Marketing Strategy. 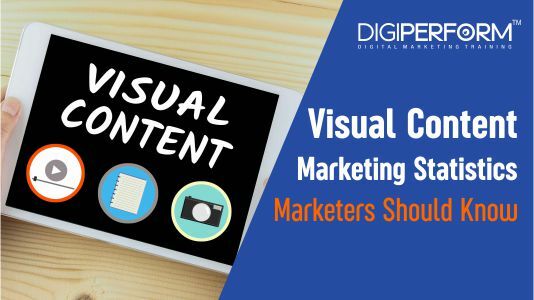 No wonder, Visual Content increases message association, brand awareness, engagement and helps to connect with your audience efficiently. Agree or not? If not, then, look below the visual content marketing statistics that will definitely make you believe that visual content strategy definitely got the chill. Visual content taps into the emotional side of the audience, encouraging them to discover more about your brand. You can generate high-quality visual content which truly resonates with people and promotes it on a regular basis. This is going to be the future. Let us know if we have missed out any stat that can help our readers to understand more. Chapter 8 – How to measure content marketing ROI? 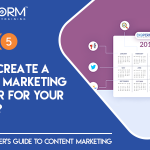 Chapter 5- How to create a content marketing calendar for your business? 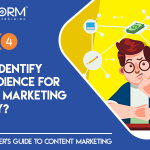 Chapter 4- How to identify your audience for content marketing strategy?